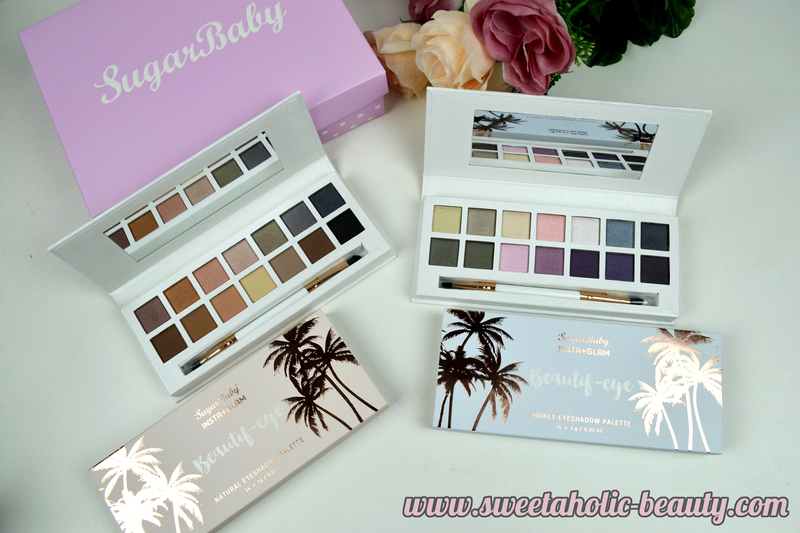 Recently, I was sent a huge package of amazing goodies from Sugarbaby Cosmetics. I'm completely new to this brand so I thought I would share my huge haul, and then get suggestions on what you would like to see reviewed. I got a selection of skincare products and makeup products, which was pretty exciting. There're so many new things to try out. 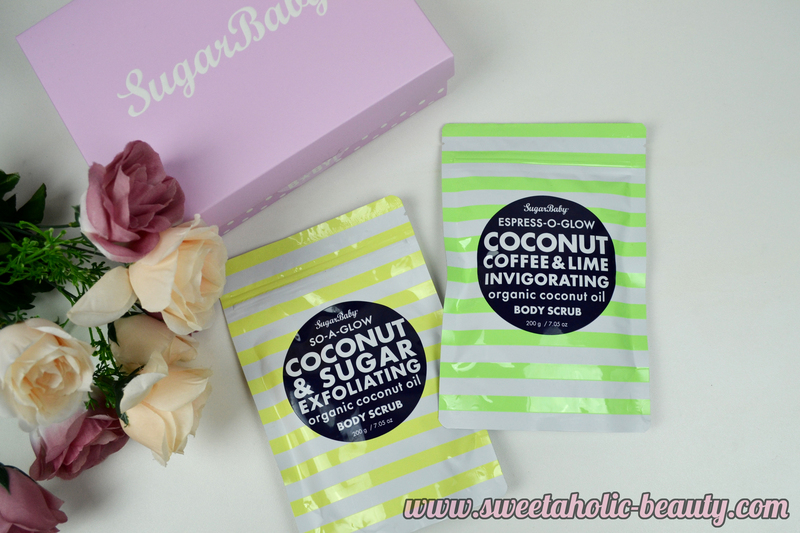 The first thing I discovered in my giant gift box of goodies were two body scrubs; the So-A-Glow Coconut & Sugar Exfoliating Scrub and the Espress-O-Glow Coconut Coffee & Lime Invigorating Scrub. Both of these sound amazing, but I'm pretty keen to try the Coconut Coffee & Lime Scrub. I also got a whopping six face masks, all different types. I'm really excited to try these all out as I love face masks. I love how the packaging clearly states the key active ingredients, too. In terms of makeup, I received two eyeshadow palettes. There are two types; natural and smokey. Both are really pretty and are packaged gorgeously. They each come with a double ended eyeshadow brush, too. I was pretty excited to see these palettes. 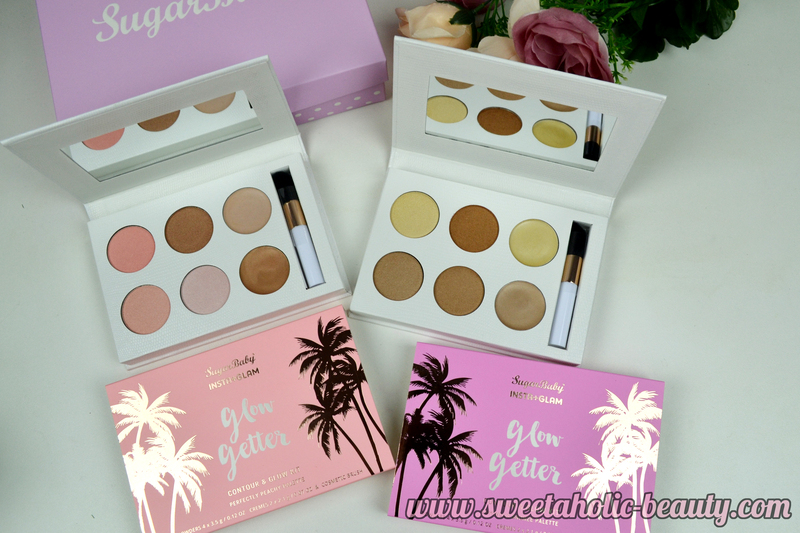 I got two Glow Getter Contour & Glow Kits in Perfectly Peachy and Luminous Bronze. Both of these are just too pretty and I can't wait to start using them. They also come with a little brush. And lucky last, I also got this gorgeous little cosmetic case. This is just too pretty and perfect for Instagram snaps. Overall I'm pretty excited by everything I received. 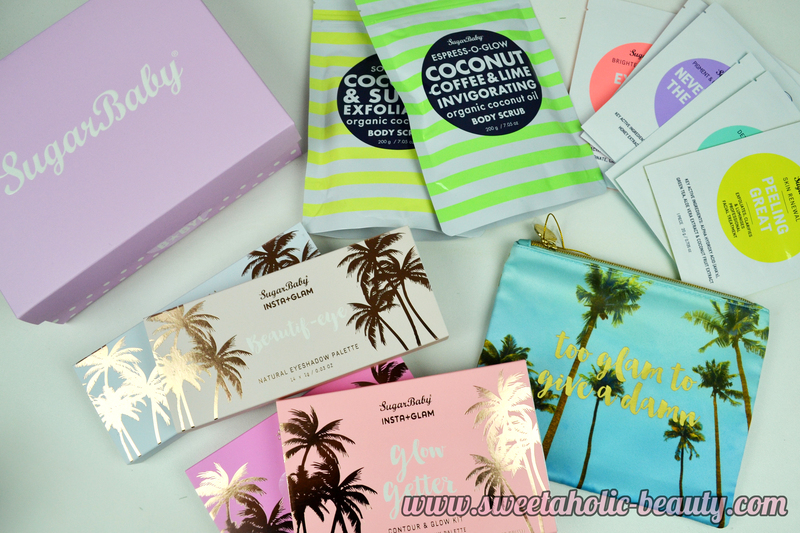 I was definitely spoilt by Sugarbaby and I can't wait to start using all the products. 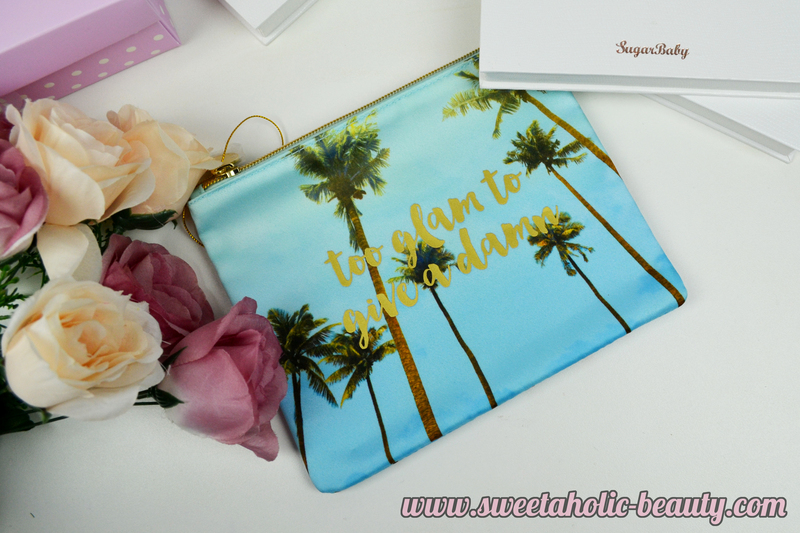 A big thank you to Sugarbaby Cosmetics! Let me know what you'd like me to review! Have you tried any of the above products - if so, what are your thoughts? Wow, what a nice haul & nice of Sugarbaby to send them to you! I've tried one of their body scrubs recently & really liked it. It isn't one of the ones you received though, it's from the Vita+Skin range. I'd like to see ALL of the stuff reviewed, but if I had to pick 3, then I'd like to see the face masks, the eyeshadow palettes & the Glow Getter Contour & Glow kits (Perfectly Peachy is speaking to me) reviewed. Eyeshadow palettes look amazing , I like the shade selection of natural. I often saw sugarbaby in Myer but never thought of buying it. Love to see review and swatches of these products. What a gorgeous range! Look forward to seeing how they perform!